THE ULTIMATE MIND READING EFFECT. 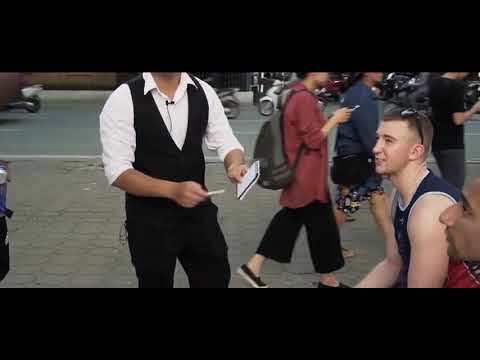 From Ninh, we have discovered and offer a beautiful piece of mentalism. It's the easiest way to read anyone's mind. No more "nail writer," no more thumb tip, no more complex set up, no more being nervous! Now, you can blow any spectator's mind with BLACK NOTE. You take out your pad, have the spectator think of their date of birth, the first letter in their name, etc. Then you start to read their mind -- you circle a number on your pad to keep it safe. Now, when they say their number or letter out loud, you've predicted it perfectly - it's an exact match! No sleight of hand. Instant reset. Perform this miracle anytime you want. Perform on the street, close-up, stage, and even on TV! NO thump tip, NO nail writer. Predict anything. Unlimited effects from your imagination. Very easy to implement, no skill required. Gimmick is 100% finished for you. Easy to setup, instant reset.